Samantha is a solicitor and Head of the Wills and Probate Department. She qualified in 2000 and after 10 years of practicing in Birmingham has worked for the last 7 years in Worcester. Samantha has also achieved the highly regarded STEP qualification standing her out for her expertise. Samantha deals with all probate matters working closely with bereaved families supporting them through this difficult time. 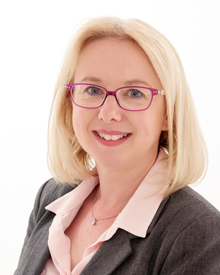 Samantha specialises in Wills, probate and estate administration, capacity issues including, powers of attorney, Deputyship applications and Trust administration. "Can I take this opportunity to also say how much I have valued your consistent friendly relaxed professional support at all times, it really has been greatly appreciated"